Wearing my beloved silk, cotton or pashmina scarves during summer time proves to be quite tricky. It's simply too hot to wear them around my neck and when I need them in the evenings they are nowhere to be found - sounds familiar? As a head-bow-tie-scarf or around a snazzy top-knot hairdo. As a top cover-up or a guy-bow-tie. As a belt. (or part of a belt). For cooler summer days or evenings as a cover up or a side cover. Such a wonderful way to add extra texture to the outfit, isn't it? Or loosely flowing in the air - perfect for bike rides. P.S: Also, you can wear it as a necklace. P.P.S: Don't miss our awesome Mi-Bra GIVEAWAY! oh man i love all of these! 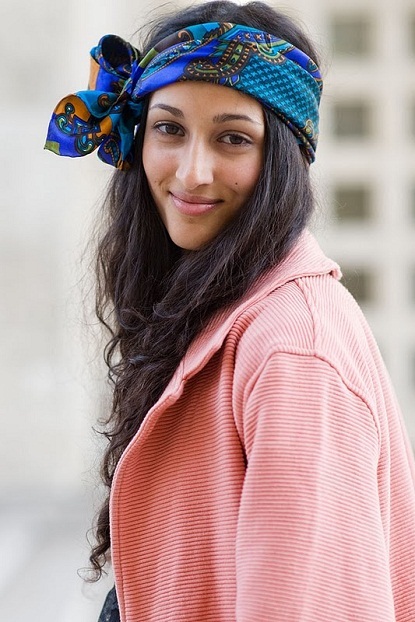 especially the head wrap one...i love how models make anything look so chic and effortless. i look like a snow bunnny in august when i try to rock the scarf look:) these give me hope, though! one can never have too many scarves despite the season. i love these new ways to wear them. i've been wearing mine as a headscarf with the knot in the front! HI, Diana! Love scarves in any season! Even in SC with temperatures reaching the high 90s I always carry a scarf for overly ACed venues! I wish my hair was long enough for scarves...maybe I should try growing it out again! Never thought of half of these! Come to think of it, my outfit today could be zhushed up with a little scarf. Great ideas! i def want to try the bowtie one. That scarf and striped shirt combination is so striking. I'm on a mission now! I'd be lost without my scarves. It's the one thing that makes winter..fun. holtkamp, oh-so true - "one can never have too many scarves despite the season". Joni, I ADORE that combo too:) Isn't it amazing? 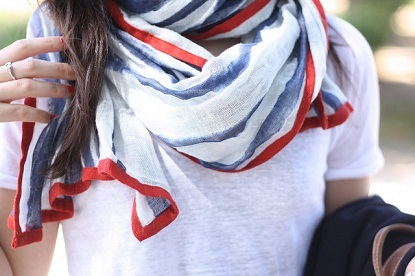 The stripes + colorful scarf is so pretty together! 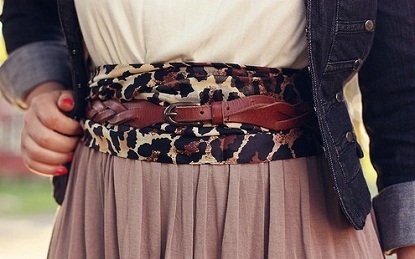 I love wearing scarves in my hair, around my neck and as a belt. Have a nice day, dear. So pretty! I obviously need some for my summer wardrobe! I like the idea of tying one in your hair but I think it looks weird if you have one around your neck and its like a hundred degrees outside....just me? I like all of these ideas! Scarves just might be my best friend for summer hair. Going to check out your how to on the whole scarf thing. I love the one that's tied around that girls top bun in the back... so pretty! I love the scarf tied into the bun! and thanks so much for including my belted scarf!! Such pretty scarves! I love the top knot idea (like so many of us)! Ha ha.